An openly homosexual writer and speaker who had been invited to appear at the popular Conservative Political Action Conference (CPAC) has now been dropped from the lineup after video surfaced of the conservative celebrity seemingly speaking in favor of pedophilia—an accusation that he denies. Milo Yiannopoulos, an editor at the publication Breitbart, had been announced by the American Conservative Union (ACU) to be a keynote speaker at CPAC, which runs Wednesday through Saturday and features dozens of well-known conservative figures, including Sen. Ted Cruz, Gov. Scott Walker, Carly Fiorina, Michael Reagan, Sheriff David Clarke, Judge Jeanine Pirro, Sean Hannity, and many others. President Donald Trump and Vice President Mike Pence are scheduled to make appearances as well. “We think free speech includes hearing Milo’s important perspective,” Tweeted ACU Chairman Matt Schlapp on Saturday. Yiannopoulos had made headlines earlier this month after officials at the University of California at Berkeley canceled a speaking engagement featuring the British-born alt-right figure when students protested his appearance—a demonstration that turned violent and destructive. He was removed from campus “amid the violence and destruction of property and out of concern for public safety,” a statement said. But others across the country who viewed the Berkeley riots said that the shutout was a violation of Yiannopoulos’ free speech, which they said should have been allowed, no matter how offensive. However, within 48 hours, Schlapp quickly changed his mind after video surfaced on Sunday of Yiannopolous seemingly speaking in favor of sexual relationships between men and boys. “We get hung up on this sort of child abuse stuff, to the point where we are heavily policing consensual adults,” he states in the footage. 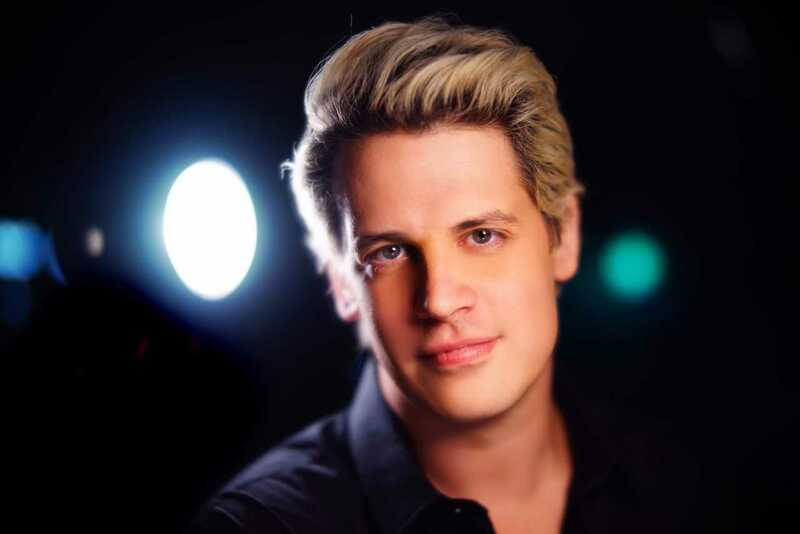 “In the homosexual world, particularly, some of those relationships between younger boys and older men—the sort of ‘coming of age’ relationship—those relationships in which those older men help those young boys discover who they are and give them security and safety and provide them with love and a reliable, sort of rock, where they can’t speak to their parents,” Yiannopoulos, an open homosexual, outlines. “But you know what? I’m grateful for Father Michael. I wouldn’t give nearly such [explicit sexual term] if it wasn’t for him,” Yiannopoulos quips, referring to the priest who molested him as a youth. On Monday, Schlapp announced that Yiannopoulos had been disinvited from CPAC. “Due to the revelation of an offensive video in the past 24 hours condoning pedophilia, the American Conservative Union has decided to rescind the invitation of Milo Yiannopoulos to speak,” he wrote. Yiannopoulos responded to the controversy on Monday on social media–in two separate statements—contending that some of the videos were “edited deceptively,” and asserting that he does not condone pedophilia as he was abused himself as a child. However, he said that he is “partly to blame” for “sloppy phrasing” during the interviews. “My own experiences as a victim led me to believe I could say anything I wanted to on this subject, no matter how outrageous. But I understand that my usual blend of British sarcasm, provocation and gallows humor might have come across as flippancy, a lack of care for other victims or, worse, ‘advocacy.’ I deeply regret that,” Yiannopoulos wrote. “As to some of the specific claims being made, sometimes things tumble out of your mouth on these long, late-night live-streams, when everyone is spit-balling, that are incompletely expressed or not what you intended,” he added. Yiannopoulos acknowledged the statements, but said that they were taken wrongly. “I did say that there are relationships between younger men and older men that can help a young gay man escape from a lack of support or understanding at home. That’s perfectly true and every gay man knows it. But I was not talking about anything illegal and I was not referring to pre-pubescent boys,” he added. Yiannopoulos said he could have worded things differently, but held to his belief that some of his statements were taken out of context. “I do not advocate for illegal behavior. I explicitly say on the tapes that I think the current age of consent is ‘about right,’ Yiannopoulos outlined.